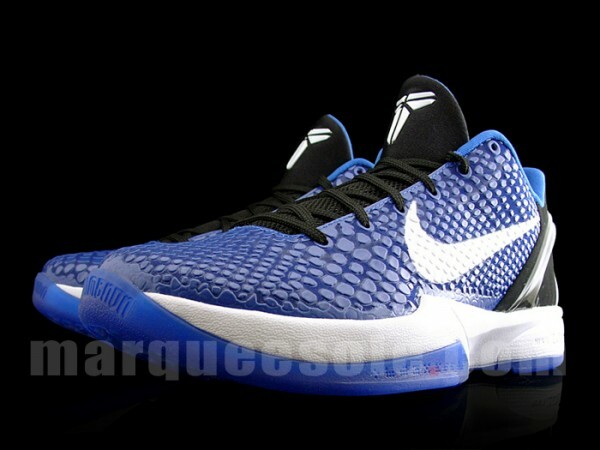 While not officially branded like Kobe releases in the past, the royal blue and blue color scheme has earned this shoe a "Duke" nickname. 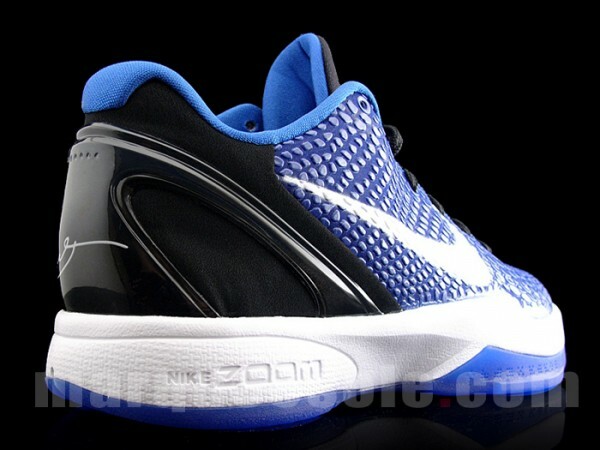 New photos have surfaced of Kobe Bryant's new signature shoe done in a colorway that indirectly salutes his 'would-be' alma mater. 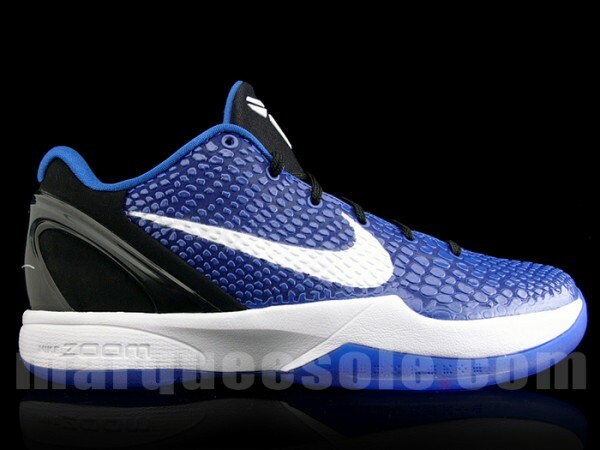 While no official logos or markings are evident, this Zoom Kobe VI has been slapped with the "Duke" nickname. 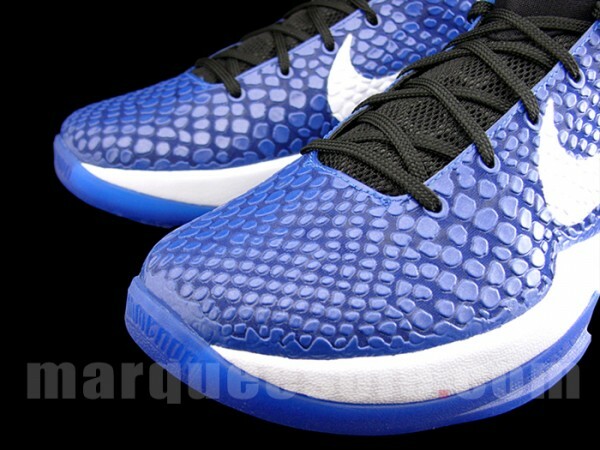 The shoe features a royal blue snake-textured polyurethane upper with black working the tongue and heel. 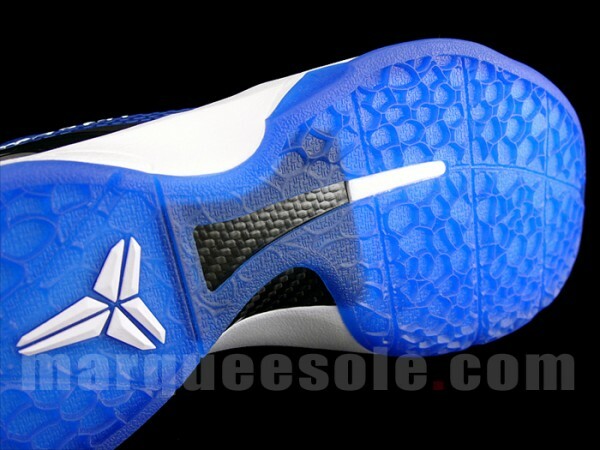 White is used for the Swoosh logos on the side panels, as well as the Shozoku and midsole. 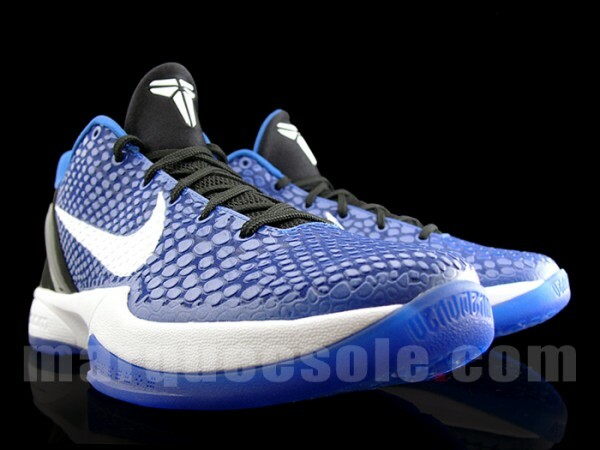 A semi-translucent blue outsole caps off the look below. 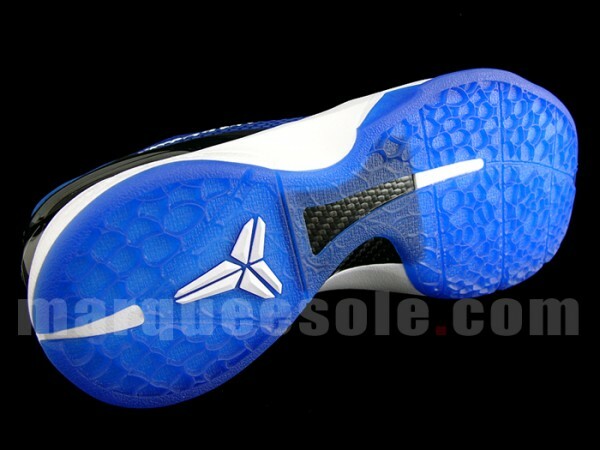 Look for the "Dukes" to hit retail on March 5th.